When my husband was diagnosed with combat-related post-traumatic stress disorder, I was struck with a wave of emotions. First, relief, because I finally knew the cause of his symptoms; second, anger, anger that this happened and that we did not know it sooner (it was 6 long years after his separation before he was diagnosed); and third, fear, fear of the unknown, but most surprisingly, fear of what my family and friends might think. Would they think he is dangerous? Would they tell me to leave him? It has been 7 years since that time. As I reflect back, I think the best support I could have been given in that moment was for someone to tell me that it was okay to talk about it, that my husband was not his illness, that mental illness should be thought of in the same way as physical illness, and most importantly, that recovery is possible. What a relief it would have been to hear those things! Just think of the hope it would have brought to the despair I felt! Over the years, I have come to know these things to be true. I advocate for them daily in both my professional life and my personal life. I am so proud to be a part of a shift that is happening in our culture by actively working to dispel stereotypes, change negative attitudes, and reduce discrimination towards people with mental illness. Continuing the momentum of this culture shift is the single greatest gift of support that we as a society can give to our military and veteran families and caregivers who face mental health and addiction challenges. 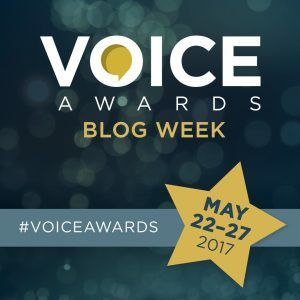 In honor of National Military Appreciation Month and the Month of the Military Caregiver, the Substance Abuse and Mental Health Administration’s (SAMHSA’s) Voice Awards and the Elizabeth Dole Foundation’s Hidden Heroes are co-hosting a Blog Week to support America’s service members, veterans, and their families (SMVF). Each day from May 22 to May 27, members of SAMHSA’s SMVF Technical Assistance Center, operated by Policy Research Associates, Inc., will post a blog responding to the Blog Week’s prompts. Monday will focus on Families and Caregivers, Tuesday will focus on Individuals and Families, Wednesday will focus on Entertainment, Thursday will focus on Communities, Friday will focus on Organizations, and Saturday will focus on Memorial Day. Check the PRA blog daily for new posts and follow the conversation on Twitter using the hashtag #VoiceAwards. I too, was dealing with taking care of my husband who was diagnosed with PTSD in 1994 from Desert Storm war. I tried working with him and getting him the help he needed, but to no avail. Due to therapists at the VA not being well versed in PTSD at that time, and not understanding self medicating with drugs and alcohol; he succumbed to his PTSD and self medicating in 2006. Since then I have advocated the need for getting and receiving the correct help from the V.A. It was never there when I needed it, and my husband just fell through the cracks. How do you tell a therapist a the V.A. that you thought and planned a suicide in the past and they ignore it and only address “let’s work on “I” statements? How does one keep testing positive for amphetamine, cocaine and then morphine and never get asked to attend a substance dependence program? I just became a Peer Group Mentor and I am hoping to help another with loss of a loved one due to war trauma, but I am also there to advocate and help others reach out to the resources they need. If they choose to use them that it is up to them, but I nor my husband were ever given that chance. I am thankful that today we have things like the Caregivers Act, Peer Mentors, and therapists trained in PTSD. Things are changing and that is what I was advocating and hoping for.